Ruby Rose is 32 years-old. The actress weighs 58 kg (128 lbs) and has a height of 5’7” (170 cm). Her workout includes kickboxing and intense workouts which help her maintain a 34-25-35 figure. Ruby Rose equally matched action scenes with Vin Diesel in 2017’s Xander Cage. Best Known For: Ruby Rose is best known as an MTV Australia VJ and as a modeling face for Maybelline New York in Australia. She loves cardio, weight training exercises, and Soulcycle. HIIT circuit training and CrossFit are also a part of her routine and is also fond of sports, especially soccer. The tough girl prefers working out on her own and hires a trainer only if she is preparing for a particular role. She does a full-body workout with a combination of mountain climbers, scissors, and frogs to increase her heart rate and burn fat. She constantly changes up her workout routine to avoid feeling bored. Once a week she, goes through Active Recovery Training where she jogs for 15 to 20 minutes with a slow tempo. 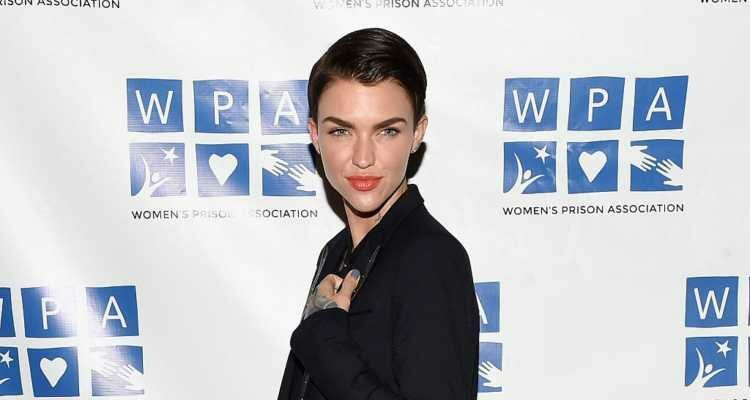 Ruby Rose is against the dieting fad and knows how to stay fit. She loves to indulge and balances it out with a more intense gym session. She has a glass of wine and a cup of coffee everyday, and also enjoys a few pieces of chocolate daily. She loves to drink green and peppermint tea and refrains from eating red meat and junk foods. She has a nutrient-rich diet. Rose’s day starts with healthy food. She eats muesli with soy yogurt or oatmeal, and accompanies it with juice or a shake. She has fish with sauteed veggies and a cup of veggie soup for lunch, and most of the time, her dinner also consists of the same. She makes her bland snacks, like carrot sticks, more interesting with healthy dips. Ruby Rose also eats lots of fresh fruits and nuts.